The releases wire will keep you informed about all new versions of roguelikes you ought to know about. I was hoping to make this a beta release, but there’s been enough significant platform changes that will need ironing out before I can confidently call this beta. I have spent a few weeks updating sewerjacks to a point where it is fairly playable and enjoyable. – Unlock more secret playable characters with unique skill sets. Beggar is a rogue-like game written in java with XML inputs for expandability. I do hope you enjoy the game as the community and hopefully the additions grow! I encourage you to post any comments or thoughts on the sourceforge forums. God willing, I hope to remain an active developer for a while to come and look forward to input from those that matter… the end-users. FAangband’s principal focus as a variant is to immerse the player in the world of Tolkien’s Silmarillion late in the First Age. While it is certainly not perfectly consistent (all the bad guys are still alive; all the good guys are dead, or at least have lost their best equipment), an attempt has been made to remove as many anachronisms as possible. Saffron is a stealth puzzle roguelike. It is in the early stages of development, so should not be considered complete, bug-free or stable yet. 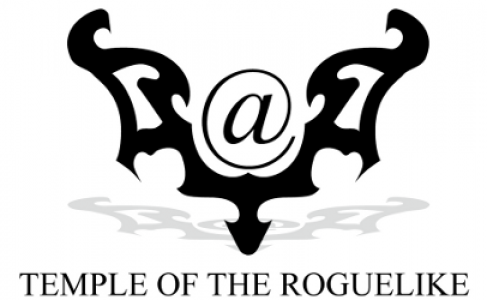 The player is a thief, who is given tasks by the Blackrock Thieves Guild. Every task is dangerous, so the player must use stealth, skill and gadgets to complete the objective and escape undetected. – the world is now culture sensitive! Gumband, an angband variant currently being mantained by R. Dan Henry, a r.g.r.d regular, and created by Joseph William Dixon has reached version 2.3.0 with many new changes on the list. So, what’s especially worth trying? Well, there are the three new races to play. Vampires have changed enough to be worth a new look. A Beastman is the best way to experiment with the new mutation set. A Half-Giant Archer can the game with a x7 multiplier using a heavy crossbow of extra-might. Mindcrafting has been made more convenient since I debugged the repeat-command code. Gumband is a variant based on Zangband, but replaces most of its Amber influence with Michael Moorcock’s Eternal Champion books. According to the current mantainer there is still a lot of ground to cover, as the project incorporates ideas from the Sword and Sorcery series. A new website has risen: The angband craze goes on with a collection of periodical competitions; starting from a common savefile, the fellow angbanders play to make their best either in vanilla or one of the popular variants.